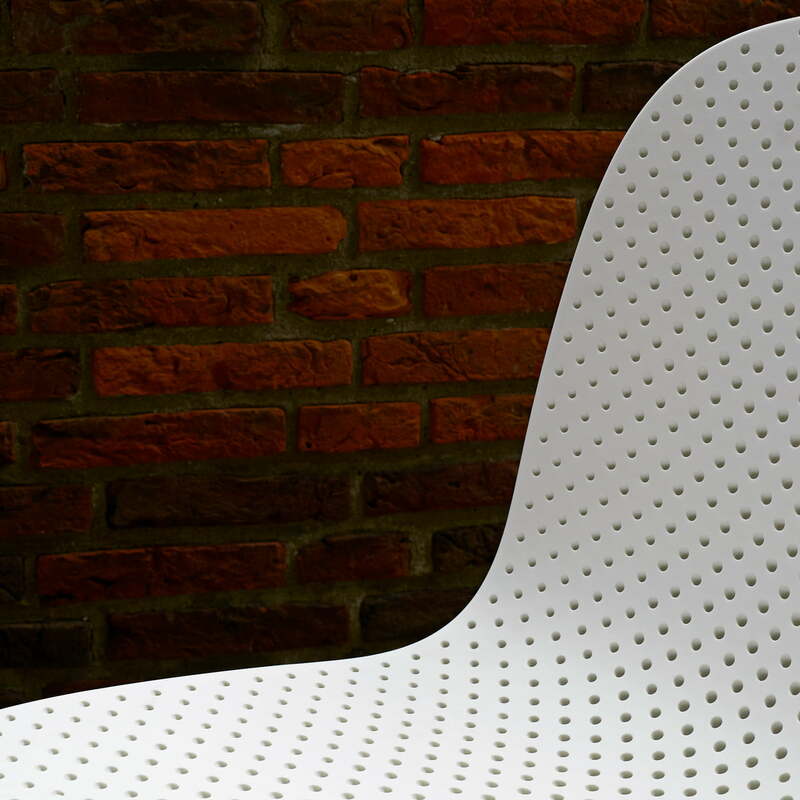 The 13Eighty Chair designed by the Dutch designers Scholten & Baijings for Hay was named after the number of tiny holes in the moulded seat shell. The holes give the chair a distinctive aesthetic transparency where light and shadow interact and contribute to airy light feel. The chair is made from a powder-coated steel frame and a seat made of polypropylene. In addition to their aesthetic function, the holes also serve to drain rain water when the chair is used outdoors. 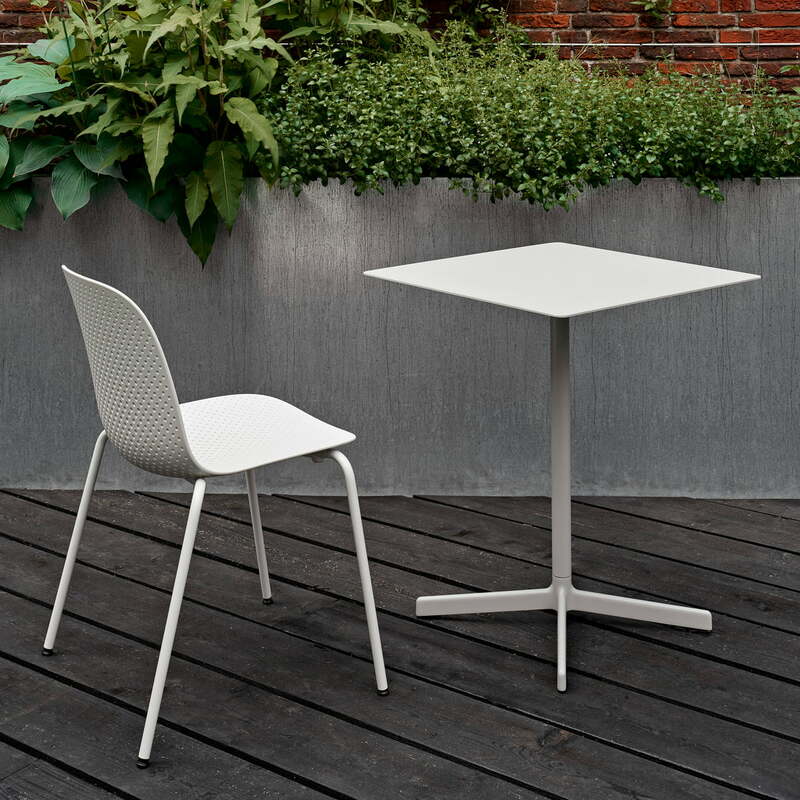 Available in various colours, the chair can be used indoors and outdoors as well as at the dining table or desk. The chair exists with or without armrests. Isolated product image of the 13Eighty Chair by Hay with grey white frame / chalk white seat surface. The chair is made from a powder-coated steel frame and a seat made of polypropylene. 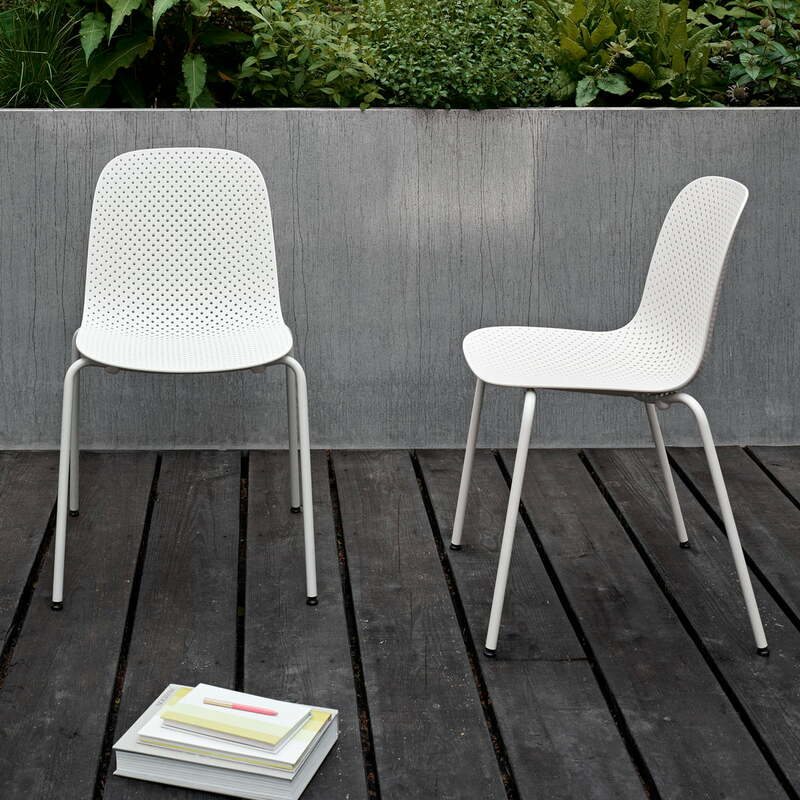 Lifestyle product image of the 13Eighty Chairs by Hay: In addition to their aesthetic function, the holes also serve to drain rain water when the chair is used outdoors. 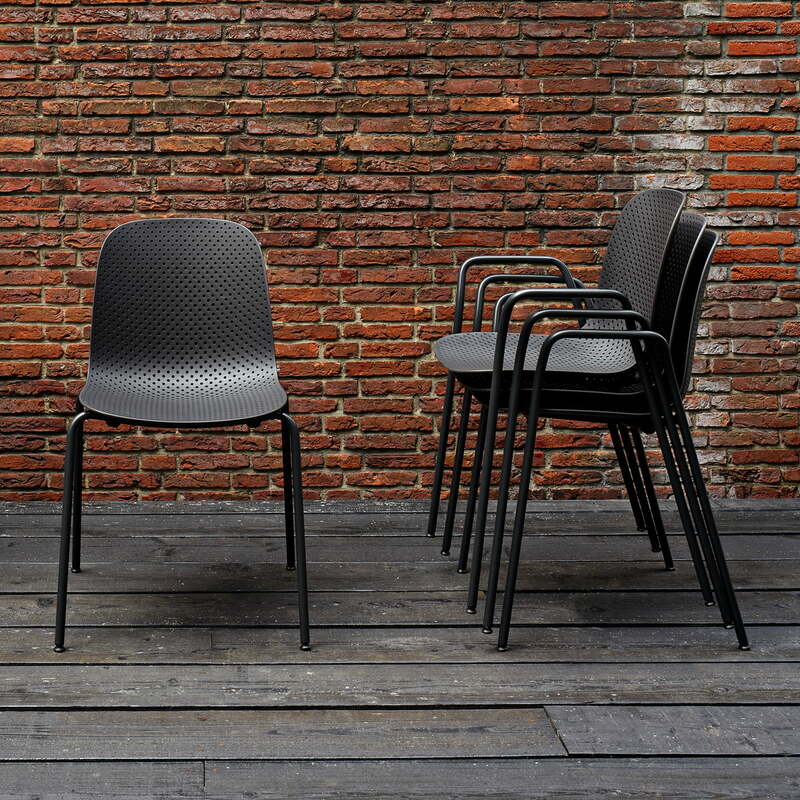 Lifestyle product image of the 13Eighty Chair and Neu table by Hay in the outdoor area. Both table and chairs are suitable for indoor and outdoor use. 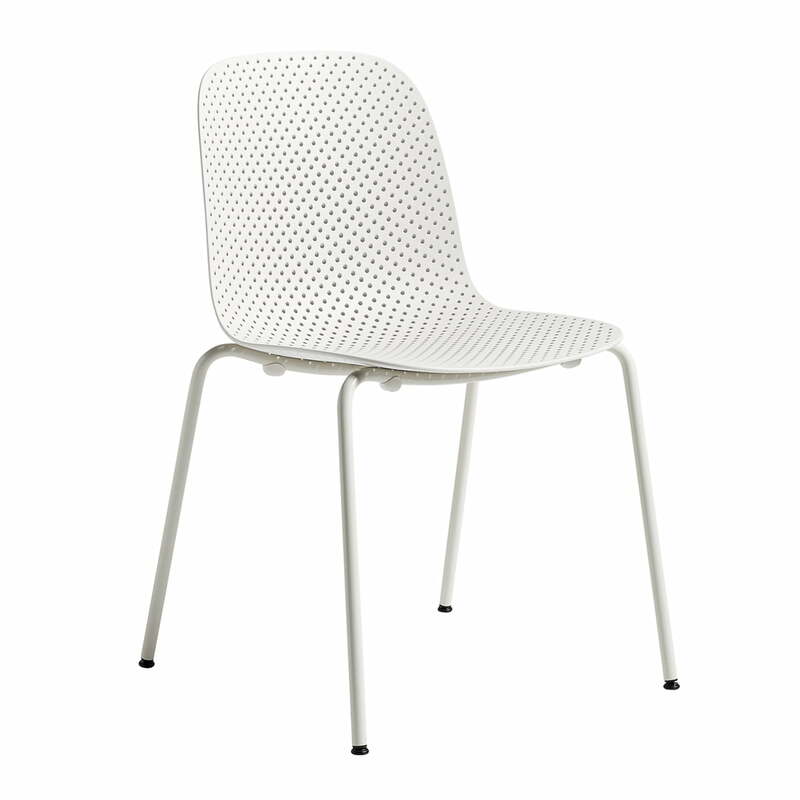 Lifestyle product image of the 13Eighty Chair by Studio Scholten & Baijings for Hay in white. The chair with a perforated seat surface is available with and without armrests. 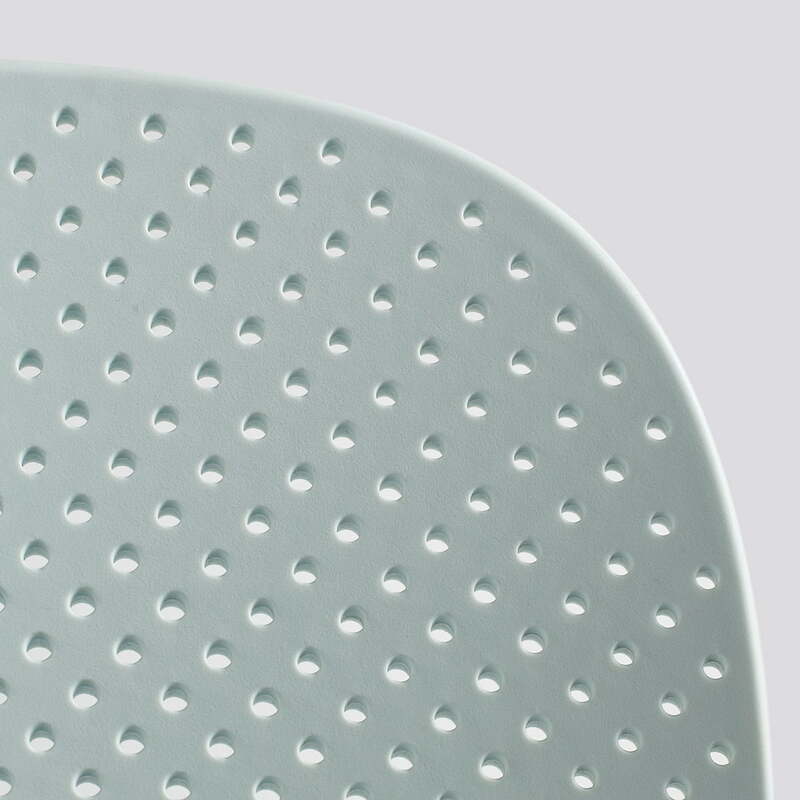 Detailedd product image: The 13Eighty Chair designed by the Dutch designers Scholten & Baijings for Hay was named after the number of tiny holes in the moulded seat shell. The holes give the chair a distinctive aesthetic transparency where light and shadow interact and contribute to its special appearance and airy light feel.